Devon 4x4's ARB canopy selection tool - Please choose your vehicle make below. Whether for work, play or anything in between, ARB canopies and ute lids offer flexible storage space, weatherproofing and increased security for your cargo. ARB's extensive range ensures you’ll find a product that not only suits your individual requirements, but also enhances the aesthetic appeal of any utility. 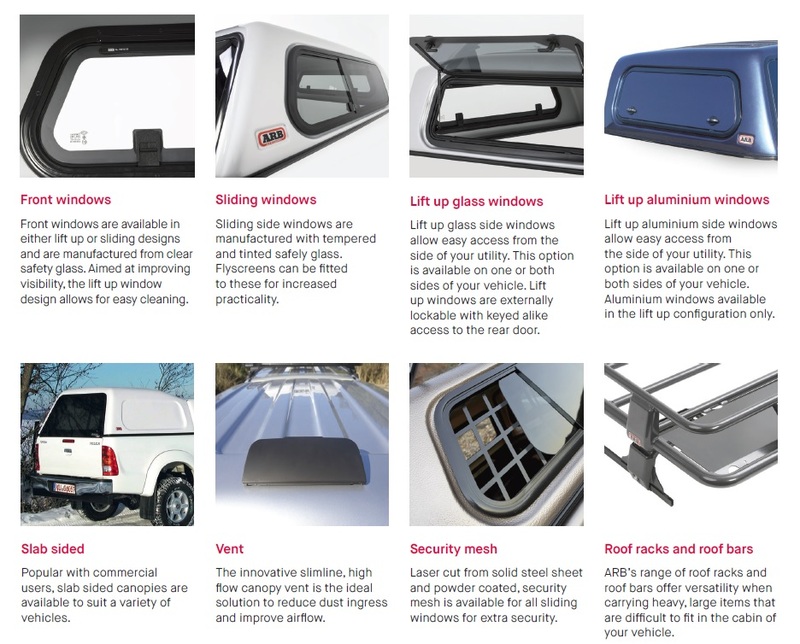 As well as making your pickup a more practical vehicle, there are many options to tailor an ARB canopy to suit your individual needs. From customised window configurations to roof bars, you can choose what options best suit your lifestyle.